California’s incoming attorney general, Congressman Xavier Becerra, is poised to lead states resisting the Trump administration. The legislature kicked off that fight with a mostly symbolic resolution urging Trump “to not pursue mass deportation strategies” that one lawmaker likened to ethnic cleansing. Other bills introduced Monday seek to fund grants for legal representation for immigrants facing deportation, train public defenders in immigration cases, prohibit state agencies from delivering information that could be used to create a registry of Muslim Americans, force any border wall in environmentally sensitive areas to obtain voter approval, and terminate contracts with privately run immigrant detention facilities. But despite the whirlwind of action, the leader of the state’s resistance against Trump will possibly not work in the Capitol rotunda but in the state’s Department of Justice. Last week, Governor Jerry Brown tapped Congressman Xavier Becerra for attorney general, an appointment made necessary after current AG Kamala Harris won election to the Senate. This may be the most vital appointment of the transition period, and it wasn’t even Trump’s. The California attorney general is well-positioned to thwart the conservative agenda, a model we’ve seen in reverse throughout the Obama administration. Former Texas attorney general Greg Abbott, who rose to prominence in conservative circles through high-profile fights against the Obama Administration, once described his workday as “I go into the office, I sue the federal government, and then I go home.” Overall, Texas has filed 46 separate lawsuits against the federal government since the beginning of Obama’s presidency, often leading coalitions of other states (and bearing the exorbitant costs, which smaller states cannot). These lawsuits haven’t always succeeded—so far only seven cases have ended in a Texas victory, with 21 losses and the rest still awaiting final action—but they have swallowed up significant time and energy and effectively provided an alternative governing philosophy. And states have broad legal standing to bring cases of this type, giving attorneys general unmatched power. Could California’s attorney general do the same? 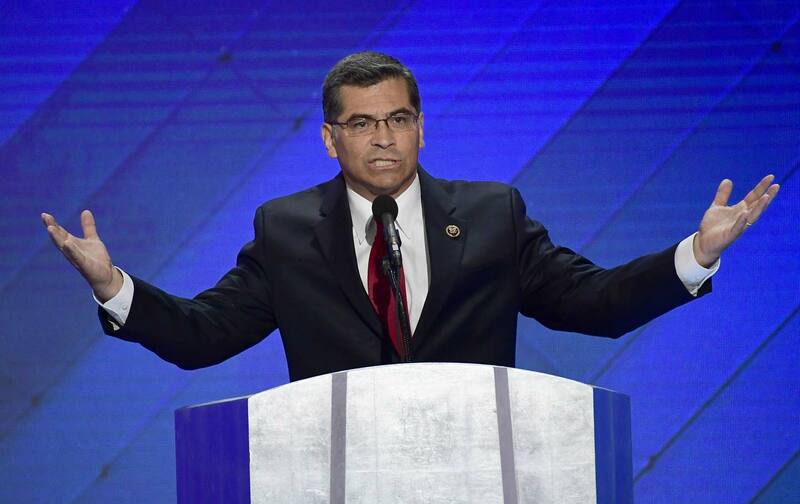 Becerra, previously a member of the House Democratic leadership, will have some opportunities and some hurdles. First of all, it’s a bit easier to challenge a regulatory advance than a regulatory rollback. With an advance, state AGs can assert that the government has substantively violated the Constitution or federal statutes. With a rollback, there’s less grounding for substantive objections. Procedural objections remain available, however. The Administrative Procedures Act is the controlling statute for regulatory alterations. So if a Trump federal agency killed an agency rule without timely notice or seeking public comment, that could draw a challenge. Additionally, federal agencies must not promulgate rules found to be “arbitrary, capricious, an abuse of discretion, or otherwise not in accordance with law.” This allows plaintiffs to challenge the factual basis for agency rule making. In discrete cases, state prosecutors have other options. For example, the 2008 Supreme Court ruling in Massachusetts v. EPA committed the government to taking steps to regulate greenhouse-gas emissions. If the Trump administration nullified Obama’s Clean Power Plan, AGs could argue that they’re shirking a statutory duty under the Clean Air Act. Other policies, like a Muslim registry, may run afoul of constitutional religious-freedom protections. And if Trump’s federal agencies choose to not enforce various policies, essentially repealing through neglect, state AGs might have a window to argue the failure to comply with statute, if it harms their citizens. Among the first fights will be on so-called sanctuary cities, which refuse to cooperate fully with federal immigration authorities. Trump and allies in Congress have threatened to block millions of dollars in Community Development Block Grants (CDBGs) for sanctuary cities. Becerra could argue in court that CDBGs have nothing to do with immigration policy and cannot be used to punish cities for noncompliance with requests. Rulings against coercing states to into enforcing federal law will also make it difficult to deny sanctuary cities funding of any kind. Other fights loom. This fall, California joined seven other states by legalizing marijuana for recreational use; clashes with the Justice Department on what is still a banned substance at the federal level could ensue. The state’s cap-and-trade system for climate emissions and aggressive plan to mandate renewable sources of energy could be a target. A border wall would have to be constructed in part on California soil. Will Becerra enact an expansive pro-resistance agenda? Politically, there are incentives to go big. Most state political observers view Becerra as a placeholder (Dave Jones, the popular two-term Insurance Commissioner, has an active campaign for attorney general in 2018), perhaps for Dianne Feinstein’s Senate seat in two years, when she will be 85 and presumably retiring. Nothing would cut through the noise that defies political headlines in California more than repeatedly suing Trump. There’s also a model of action, not only from Texas but from California in the George W. Bush Administration, which successfully blocked offshore oil leases in the Pacific. But after hinting strongly in this direction in his initial post-selection remarks, yesterday he offered a more measured tone in a press conference with Governor Brown. “We won’t shy away from representing and defending what we stand for as Californians, but we’re not out there to pick fights,” Becerra said. While this could simply be a matter of affect rather than substance, it would be a grave mistake if Becerra proved cautious. Californians thoroughly rejected Trump (by 4 million votes and counting) and expect vigorous action. California has some big-state allies in New York and Illinois, but Becerra’s office has the resources and experience to fight Trump on multiple fronts. Picking and choosing battles won’t do when there’s so much at stake.